For the construction of the Helen L. and Martin S Kimmel Pavilion (Kimmel Pavilion), Canam Structures completed the connection design as well as the fabrication of structural steel components and related services such as temporary platforms for the cranes. The Kimmel Pavilion is a 21-story building with a surface area of 830,000 square feet (77,110 m2) that forms part of the New York University Langone Medical Center. The building will connect directly to the Tisch Hospital. It will offer single-bed inpatient rooms, which will greatly enhance infection control, allow for a more efficient workflow for staff in each room, and will better accommodate a patient’s family and visitors. 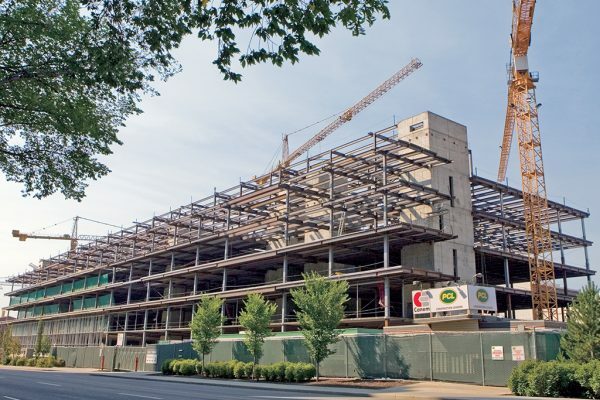 The building, which is scheduled to open in 2018, aims to achieve LEED® Gold certification. From a technical point of view, the project was full of challenges. The seventh floor supports both the lower levels and the fourteen upper levels of the building. 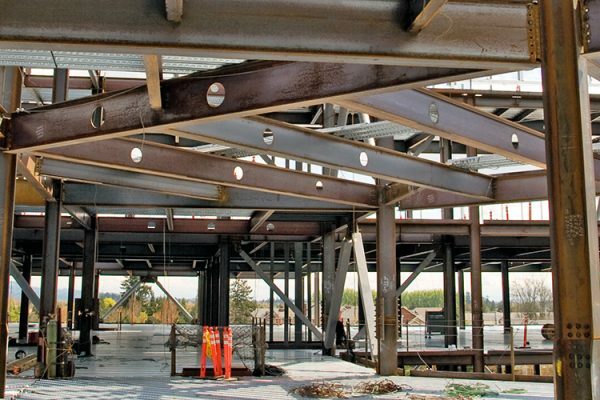 All of this load required the design and fabrication of beams comprised of welded steel plates and very specific connections.